Mandarin squares were worn as part of the costume denoting one's rank and status in the bureaucratic hierarchy of China from 1391 to 1911, ie, most of the Ming dynasty and all of the Qing dynasty. Civil officials wore various birds to denote their rank and military officials wore various animals. The silver pheasant is the symbol of the fifth civil rank. 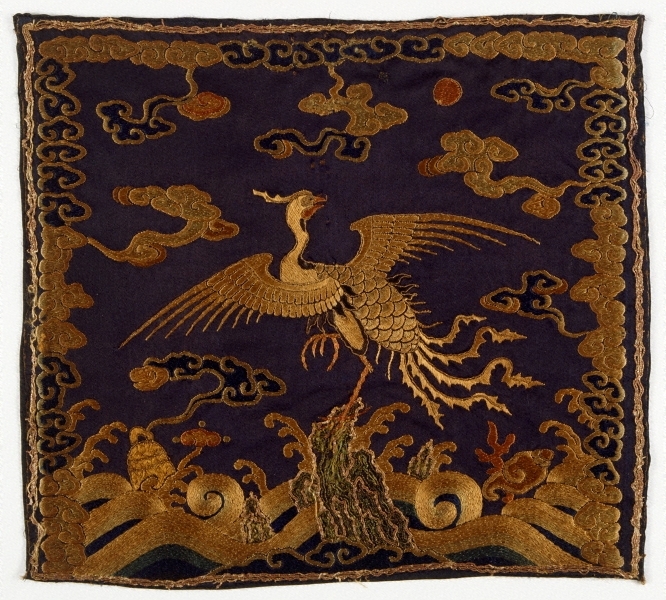 In the early Qing period, it typically had three serrated-edged tail feathers, later it had five (as in this piece). While the silver pheasant seems to be the most common badge found today because fully 25% of the mandarins failed to reach the upper ranks of the civil service and stalled at fifth rank, badges of the early Qing period of Yongzheng are rare. This badge was for a female, Qing regulations specifically authorizing the wives to wear a square denoting their husband's rank. 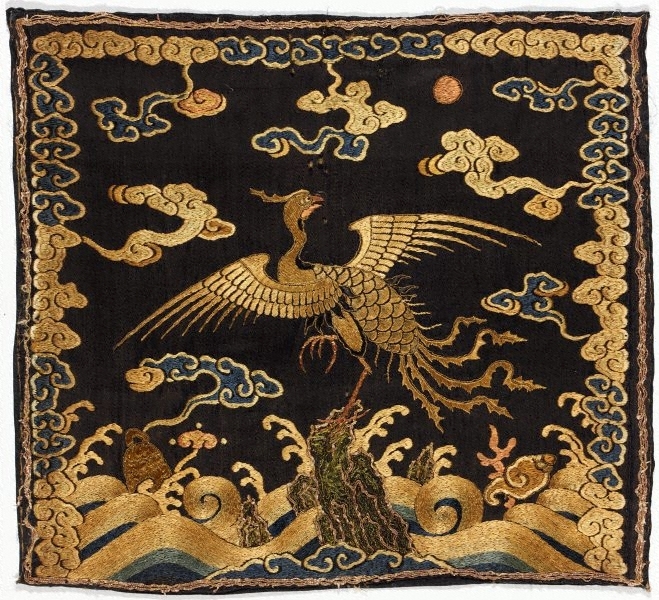 Although the emperor had to personally authorize a mandarin to wear a rank, each mandarin had to procure his own squares - a fact that resulted in more varied and interesting designs since each were individual. Asian Art Department, AGNSW, 17 May 2000.